Rose chafer beetles found north of Adams, WI. Be on the lookout! 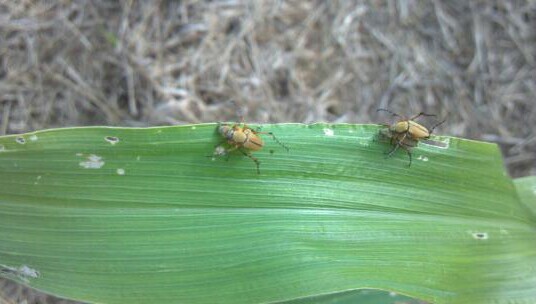 Today, agronomist and field scout Matt Selenske found some rose chafer beetles feeding on some field corn, just north of Adams.